There are three major considerations for long term care of ephemera; conservation, environment and storage. Collectors need to be most aware of the second two, as they have control over these and the long term viability of their collections will be a result of their adherence to the requirements of these. Conservation: Conservation are those efforts taken to preserve a document or restore a damaged document. Conservation includes repairs to documents, de-acification of paper and efforts to ensure the long time survival of ephemera. Conservation is best undertaken only by a qualified paper conservator. The Library of Congress links above give some more information on conservation. Store paper materials in dark, cool, relatively dry locations. Aim for 35% relative humidity and below 72° F.
Avoid light, heat and dampness. Attics, bathrooms and basements are to be avoided. Inside walls are drier than outside walls, where moisture can collect. Use UV protection for displayed items that are subject to exposure to direct sunlight, fluorescent bulbs or long term lighting. Paper materials should be protected from dust and dirt. Storage: It is best to store paper items flat, rather than folding and unfolding. Paper materials may be stored in acid-free alkaline folders, polyester film folders or alkaline mats. Ecapsulation in Polyester Film is the most highly recommended storage environment. How I Can Help: You would like to frame your magazine, or other ephemera but also wish to protect it. Our products help you do that. I offer optional UV protection on our frames and all changeable frames include a Polyester Sleeve for protection. If you need conservation, you should choose the Conservation Upgrade for your frame. The Value Frame Conservation Upgrade. Value Frames come with Framing Grade Acrylic and an Acid Free Backing board. This provides decent protection for your collectibles. For better protection you have two options. You can upgrade the glazing to either of my UV protective Acrylic Glazing (regular and non-glare) or upgrade to the full conservation package. The Conservation Upgrade consists of your choice of the UV glazing, Museum foam core and frame sealing tape. The Value Frame Conservation Upgrade now includes a sheet of 4 Mil Mylar that is placed between your collectible and the acrylic and acts as a conservation spacer. Customers that have purchased a frame with the Conservation Upgrade can contact if they wish to purchase a sheet of 4 Mil Mylar for the frame. The Museum foam core backing has a 100% archival cotton rag surface. Its facing paper on each side has a pH of 8.2 +/- .5 and a calcium carbonate buffer. 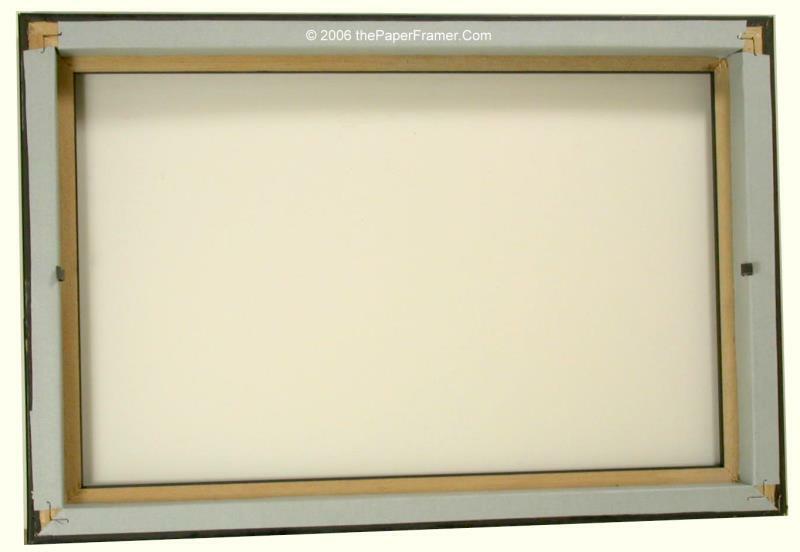 Constructed with pure, naturally white cotton fibers, this Foam Board contains no lignin, alum or harsh chemicals. 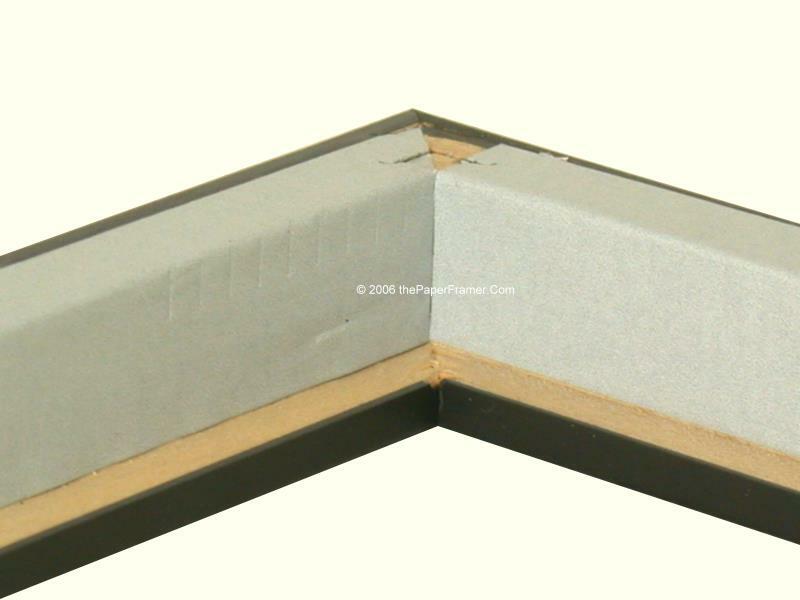 The frame sealing tape provides an effective framing barrier for raw wood rabbets. Acid-free, lignin-free buffered paper is laminated to a thin aluminum barrier layer and coated with an aggressive acrylic adhesive that holds strong to raw wood. The layer of aluminum provides a barrier that stops acid migration and meets the standard for maximum preservation framing. The images below show a frame that has been sealed using this tape. Polyester Sleeve: According to the US Library of Congress, the most preferred material for preserving valuable documents is uncoated archival quality polyester film, such as Mylar® type D. or equivalent material Melinex® 516. Polyester film is a clear, inert plastic that provides excellent support for fragile paper. Each changeable frame comes with a polyester sleeve to protect the framed item. For comics, standard sized magazines and most comic art I use 4 mil Mylar® type D sleeves. Mylar® is an exceptionally strong transparent film that is resistant to moisture, pollutants, oils, and acids. It contains no volatile chemicals which will migrate to the surface of the paper and cause damage. With a life expectancy of hundreds of years, Mylar® will outlast most other plastics. In addition, along with the brilliance and clarity of Mylar® which enhances the appearance of any paper collectible, it is an effective barrier against acidity which is the primary cause of paper deterioration. Each of the sleeves is sealed on three sizes. When you get your frame and insert your item, you can seal the fourth side for maximum protection. For other sizes I make the sleeves using Archival Grade 4 mil DuPont Polyester Film Rolls. This safe, untreated film is ideal for encapsulation or used as a barrier against acid and moisture migration in framing. It has a neutral pH, contains no harmful plasticizers, and is transparent for easy viewing. Archival grade DuPont polyester (polyethylene terephthalate) has High transparency and tensile strength, non-yellowing at ambient temperatures, chemically and dimensionally stable, resistant to most chemicals, moisture and abrasion. It is approved by the Library of Congress for archival storage. I can make sleeves for any size ephemera with a maximum width of 40" with any length. See the Encapsulation page for more information on these sleeves. Both types of sleeves provide equal encapsulation protection.